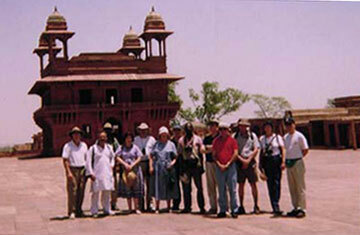 Dr. Uliana Gabara led a group of thirteen faculty members on a three-week trip to India. The seminar was preceded by several weeks of personal research and on-campus presentations. While in India, participants met with academics, intellectuals, the Joint Secretary in the Ministry of External Affairs of the Indian government, and many others. They also visited several Indian universities and some of the region's most important cultural and political sites.